Super Ubiquinol Coenzyme Q10 (CoQ10 for short) is a potent antioxidant that supports cardiovascular health and is absolutely essential for healthy mitochondrial function. 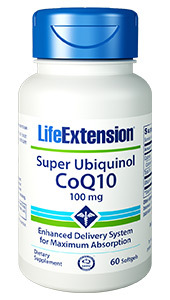 The traditional form of CoQ10, ubiquinone, is difficult for your body to absorb – but the ubiquinol form, like that in Super Ubiquinol CoQ10 absorbs up to 8 times better! CoQ10 is an essential component of healthy mitochondrial function. 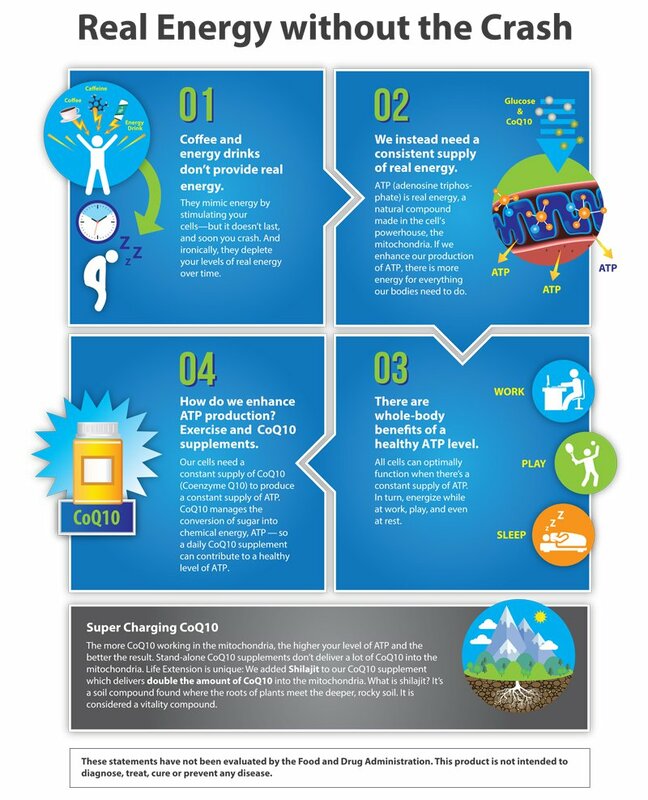 The mitochondria are the cell’s energy powerhouses, and CoQ10 is required to convert the energy unlocked from fats and sugars into usable cellular energy. 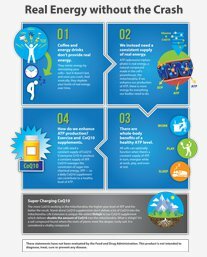 Because of this, CoQ10 is most highly concentrated in the cells of your body’s “workhorse” organs – like your brain and your heart. But CoQ10 is also a potent antioxidant, protecting important proteins and mitochondrial DNA from oxidative damage. Unfortunately, CoQ10 levels naturally deplete over time. CoQ10 levels in your body naturally decrease as we age. And so-called “statin” drugs used to lower cholesterol also deplete CoQ10 levels in the blood and possibly in tissue as well. Statin drugs have been shown to reduce plasma CoQ10 by nearly 40%. Alarmingly, the normal ageing process may deplete CoQ10 levels even faster than the use of statin medications! The aging process reduces CoQ10 levels in the heart muscle wall by 72%. The frightening result is that the dual effects of ageing and using statin drugs simultaneously could result in a severe CoQ10 deficit, leading to seriously diminished cellular vitality in vital organs like your heart. In studies measuring exercise-induced fatigue, ubiquinol CoQ10 (like that in Super Ubiquinol CoQ10) was 90% more effective than ubiquinone. Furthermore, ubiquinol has been shown to be 40% more effective in slowing measurements of ageing, compared to ubiquinone. Support your heart, promote healthy mitochondrial function, and maintain vital cellular energy production. Choose Super Ubiquinol CoQ10 – the highly bio-available ubiquinol form of CoQ10 in a patented delivery system with a superior absorption level. Take one (1) soft-gel with food once or twice daily, or as recommended by a healthcare practitioner.